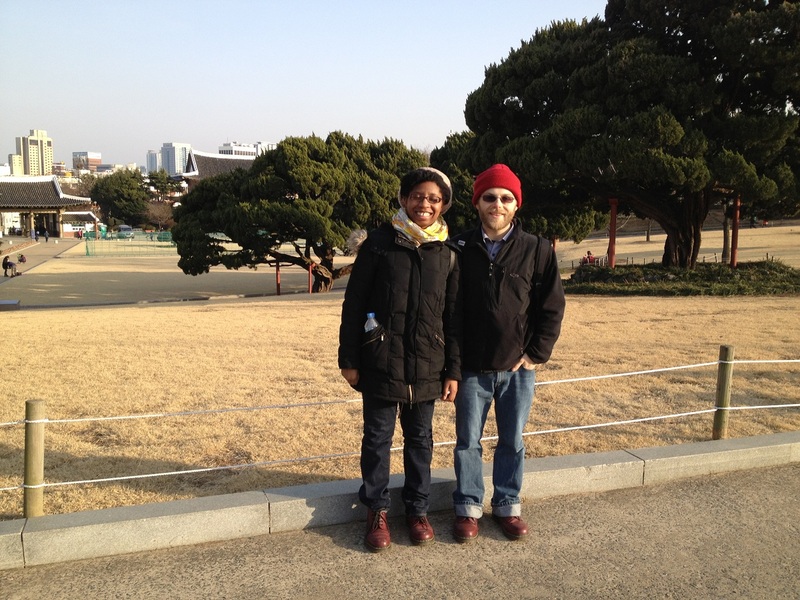 Dispatches From Gangwon: Daegu 2: Why Daegu? 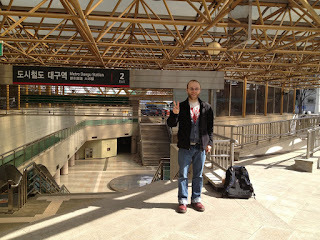 At Daegu Station. 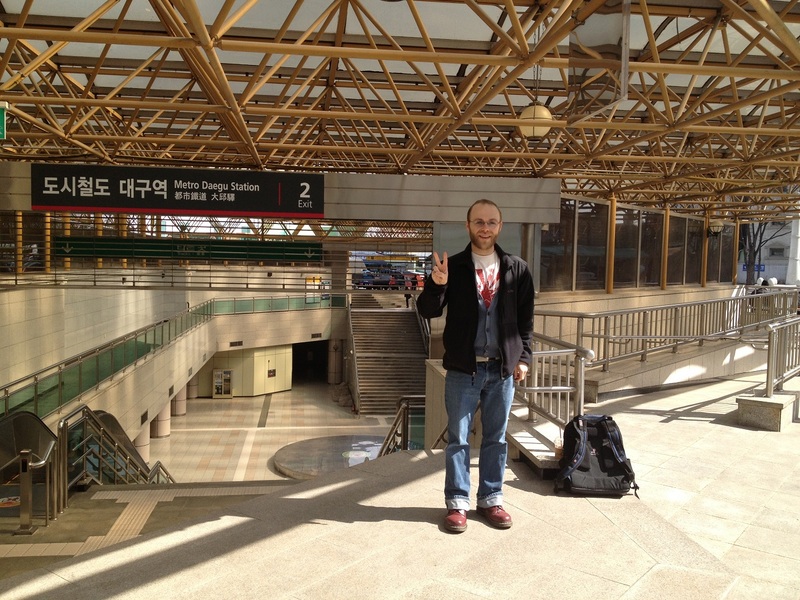 What you don't see is the massive Lotte Department Store that the station's connected to. We had a decent smoothie here. I couldn't pass up going to this regional chain. It's a strange yet apt name for a coffee shop. 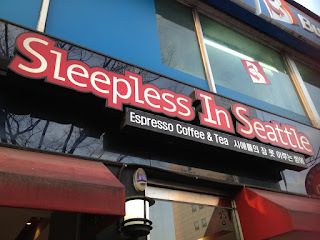 Our reasons for going were simple: We wanted to see another of the big Korean cities and to enjoy some regional cuisine. Another reason centered on going to a brand new place. There's something about going somewhere I've never been before that's exciting. It's the unknown and the thrill of the new. My Wasu buddy Dave had fondly remembered the place from his army days and said that we'd have no trouble getting around because everything's centered around the downtown area of Jungang-ro. 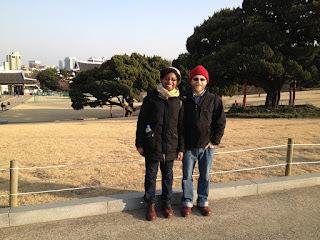 We came down with a loose agenda of restaurants, markets, and parks to go to and we ticked off everything on it. We mostly stayed in the downtown area, so our experience was far from all-encompassing, but we did get a good look at the city and enjoyed wandering about the area. Aside from a subway ride to Beomeo Station (범어역), everything we did was within walking distance of our hotel next door to Daegu Station.